I was realizing that we weren’t planning as much in the summers as a family since our five kids are in varied locations and stages of life this summer, and then July hit and I panicked: Summer is half over. 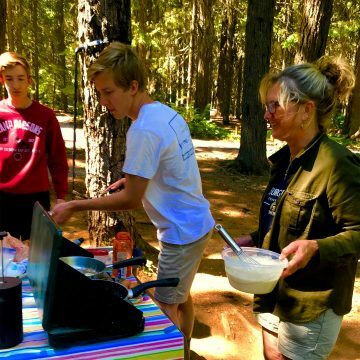 It made me stop to recognize that as kids get older and get jobs in the summers and do other things with their friends and take on hobbies, it takes more of an effort as a parent to make sure you get away together as a family in the summer. Our family has always carved out times to get away together, epic summer camping road trips, with just us as a family, and maybe a German cousin or two along for the ride, and yet, as our older two are now married and our younger three are working, one in a different state living with his his older sister in Hawaii, it gets harder, and you have to plan and make it a priority. Especially in those summers when no one is visiting from out of the country. So after panicking, I got to work. We had to talk to our kids and to let them know what we wanted to do, and admit that I felt like a failure for not planning in advance. At the same time, letting them know how important it is. They were on board. We then had to scramble and juggle and connect and touch base and have my two kids that are home do some arranging and rearranging. Coordinating schedules as kids get older is no easy task, even for a shorter trip. 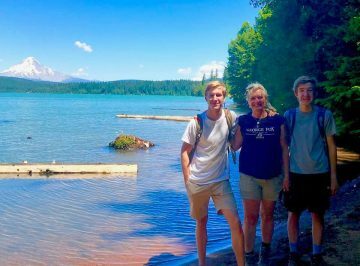 And, what we were able to come up with was two days and one night camping, going back to Timothy Lake, where we used to go every summer, especially regularly with our two older children, who are the ones now married. 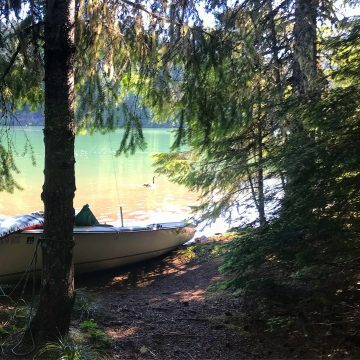 After the accident, we sold the family tent trailer and bought a sailboat, and it seems like we just hadn’t been getting out to camp as a family anymore. And, sailing was too hard a couple of years ago, so the sailboat sat. Until, this year, we want to get our lives back. We wanted to get out and try camping and sailing again. We had talked about making plans in the spring for a summer getaway, but then never did. Until, it hit me with the said panic. Summers are such a great opportunity as our kids have more down time to get away into nature together. To explore and experience together, and you just can’t beat getting away overnight. It can be trying a new area or going back to a familiar spot. It doesn’t matter. It just has to be. To make it happen. It felt so good to plan this little outing, while at the same time trying to keep it simple. When things got so complicated, we found that had become a deterrent to going. 1. You must Plan ahead. Get your and your kids’ calendars together, preferably in spring and talk to your kids about what they’d like to do, and let them know your ideas. Tell them how important it is to get away together as a family. Remind them and model for them how you make family a priority. 2. Take the time you can get, even if it’s just a night or two. Make it happen. It’s about the adventure and the experience together. They will remember the experience, even with it being a shorter time. 3. It matters. Our teen kids will get out and do stuff and they will plan with their friends so make the effort to make sure family outings are happening. 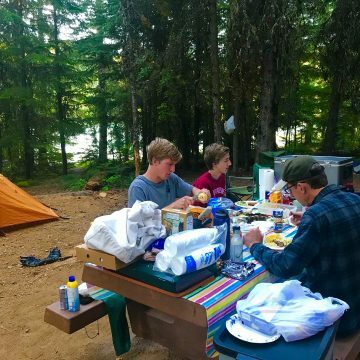 Kids talk about outdoor experiences they had as a child well into their adulthood and then they continue traditions when they have families of their own. We see our older two married kids doing this now. As I look back when I was growing up and in my teen years, I don’t have as many memories of our family doing things together, away, sharing experiences. We did stuff when we were younger like amazing Germany trips and Lake Merwin camping trips, but I don’t recall as much as we got into our teens. I want to continue to plan things with our children, to share experiences and outdoor adventures and nature together as our kids get older, not just when they are little. It matters. It’s important. We have to make it a priority. And, as our kids get older, and like ours are, and if they are spread out in age and stages of life, we have to make that much more of an effort. It’s worth it: Give them experiences rather than material things.